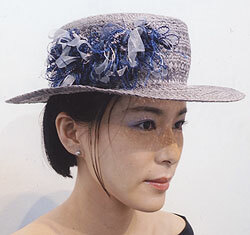 Studied about hat design from Kyonosuke Suda at Suda Chapeau School and from Akio Hirata at Hirata Hat School. 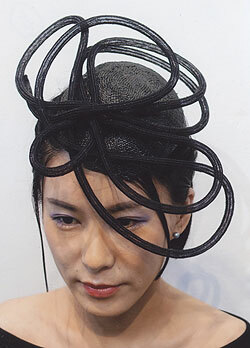 Winning the prize of Creative Hat Production at "Easter Hat Gathering & Hat Queen Contest - Be Surprised" presented by Alps Kawamura at Matsuya Ginza. Participated in hat production of Hat Show "Birth of Hat" presented by Suda Chapeau at Aoyama Round Theatre. Participated in hat production of "Abe Rei New Baroque Concert" at Shimokitazawa Town Hall. Participated in hat production of the fasion graphic performance fusion event "Century Fashionable Show - Nectarine 11%" presented by k-arts at Ebisu East Gallery. Participated in hat production of "Brilliant Indian Embroidery Exhibition" at Takashimaya Nihombashi Store. Duo exhibition "Two Shapes Made by Molds" at Gallery Choukou. 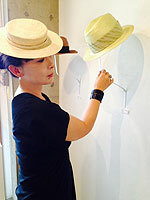 Solo exhibition "a la Chapeau - Hiromi Ishikawa Creative Hat" at Gallery inos. 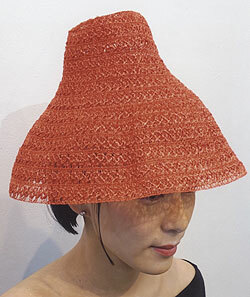 Participated in hat production of the exhibition "Shimokitazawa People Vol.1" at DIVA Exhibition Space. 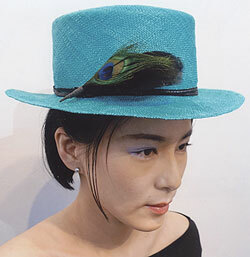 Solo exhibition "œuvre de chapeau - Hiromi Ishikawa Creative Hat" at Gallery Choukou. 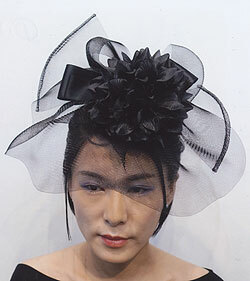 Solo exhibition "Chapeau pour chacun - Hiromi Ishikawa Creative Hat" at DOKA Contemporary Arts. Producing various kind of hats from the original design by individual order to basic hats which feels commitment and playfulness. copyright © Hiromi Ishikawa All Rights Reserved.